The market for fine antique instruments offers unique opportunities for music-lovers. Every violinist or cellist dreams of owning a Stradivarius or a Goffriller and a finite supply helps the compelling investment case. However, this isn’t the rarefied, exclusive market you might expect. For a few thousand pounds you can buy a share in a world-class historic instrument, or an 18th century violin by a lesser maker for you or your child to play. 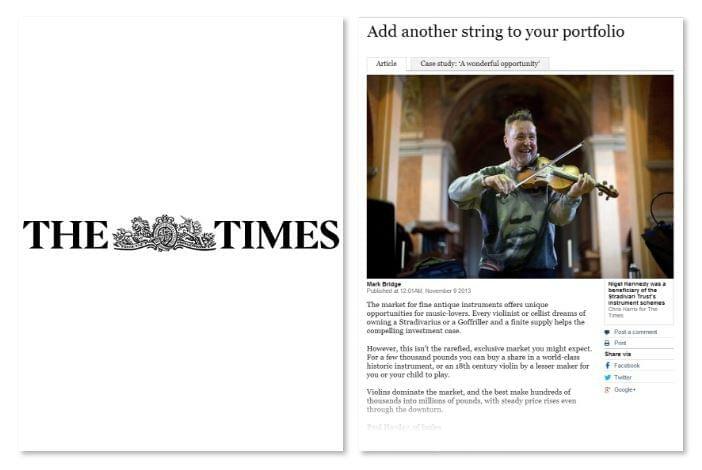 Violins dominate the market, and the best make hundreds of thousands into millions of pounds, with steady price rises even through the downturn.